Starting Points are practical and inspirational books for all those working in the leisure, recreation and health fields. The books contains daily program and activity suggestions suitable for a wide range of people including activity co-ordinators and facilitators, diversional therapists, carers, volunteers and family members. Program ideas and activities can be adapted to appeal to a diversity of client groups, ability levels and ages. There are two books in this series. 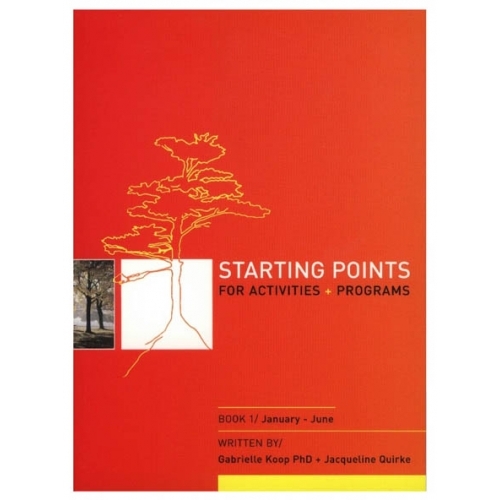 Starting Points, Book 1 provides program and activity ideas for each day of the first half of the year while Book 2 focuses on daily events for the second half of the year.